This iconic station I have not visited since I started using digital. What a refreshing sight and hand held, with no trouble from security. Part of an ongoing project taking the transport system and interiors of stations. Cathedral like interiors. 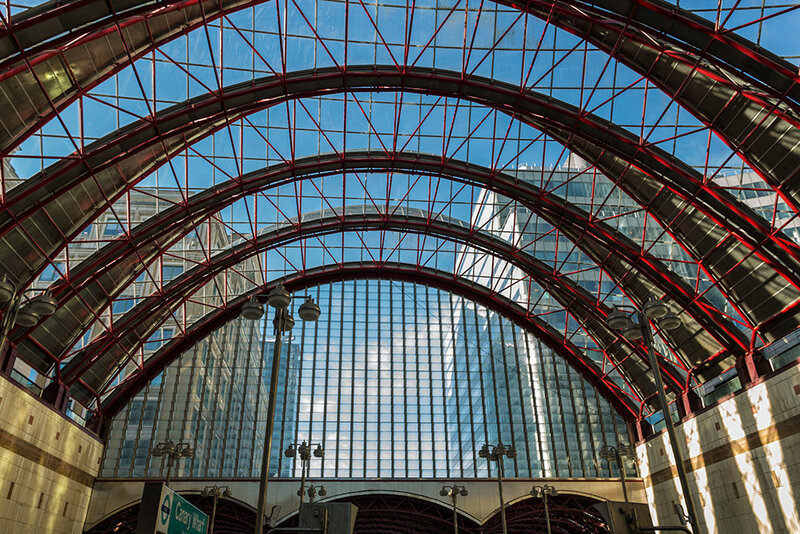 Canary Wharf Station, Docklands, London, England.